As a company of the 21st century, one of the most important aspects of sustainable business stewardship is to ensure that the sustainability strategy is integrated and adopted throughout the entire organization, including your chain of business partners. For many companies, this means ensuring that thousands of other organizations are aligned with the company’s expectations on business behavior. With the significantly increased stakeholder pressure from investors, shareholders, customers, and nonprofits in recent years to push sustainability into the supply chain, developing a code of conduct is simply not enough – companies need to find ways to ensure that it is also being adopted. With the help of modern technology, data can become your best friend in your efforts to ensure a sustainable supply chain. Developing a sustainable supply chain starts with understanding it – understanding your suppliers’ status relative to your expectations, understanding the risks as well as understanding what challenges your suppliers face or the support they may need. To do that, you must capture these insights, and you need to make sense of them. Here’s where modern technology and data can play a crucial role. Digitally capturing sustainability information is powerful to make sense of the information and turn it into insights to act upon. Using modern data formats will automate and simplify the process and enable you to view the information in a structured overview – allowing you to focus your attention on what the data tells you – not on navigating through spreadsheets and trying to compile and make sense of it. It helps you identify risks, opportunities, and areas for improvement in a systematic way, and gives you a clear picture of where to focus more energy. One of the hallmarks of the 21st century from a technology point of view is the ability to capture, communicate and analyze massive amounts of data in a very short time. This is an opportunity for supply chain management, as supply chains tend to be large and complex, including thousands of entities. Using manual methods for assessment of sustainability and compliance – such as Excel spreadsheets and on-site auditing – quickly become time-consuming and costly. As a result, the assessments generally tend to become limited to a small group of suppliers, chosen randomly or based on general risk assumptions. This leaves an uncertainty about the rest of the suppliers, not to mention a heavy administrative cost. Using digital technology to capture data from suppliers enables you to scale up the assessment to completely new levels and allow you to get a baseline on all, or a large share, of your suppliers, even in several tiers, but with less administration. The assessment gives you data-driven insights into where you may need to dig deeper, or perhaps invest in a third-party evaluation. Apart from enabling a large scale, it also enables you to evaluate supplier performance on a more regular basis. This ensures up-to-date insights which lead to better control and the ability to quickly act on results and changes. As digital technology enables you to capture data from your suppliers in an efficient way and on a large scale, it also helps the other way – it gives you a powerful way to communicate your expectations on business partners and influence them in a sustainable direction. As you can reach a large scale of organizations, you are able to get your message out to all of your partners, marking your expectations and contributing to your brand image. Digitization and data are in this context, just as in many others, strong tools to carry out a message and influence behavior. As covered above, digital technology and data hold tremendous opportunities when it comes to ensuring a sustainable supply chain. As a matter of fact, it can be very hard to get the full picture without it. 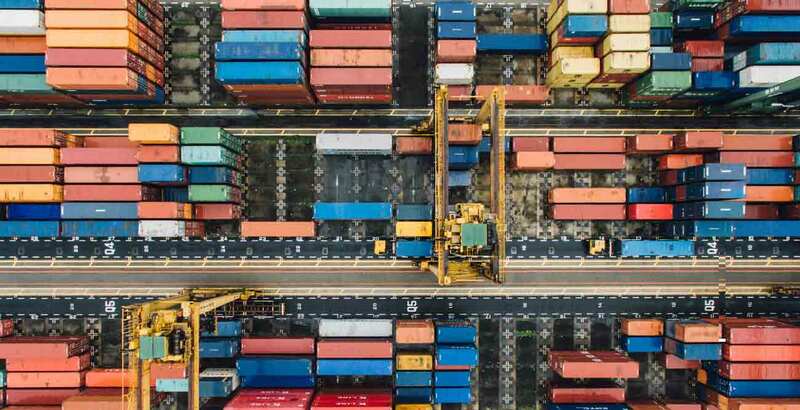 Data drives values such as an increased and more systematic control of the entire supply chain, enabling companies to act quickly and minimize risk. Using data for supplier evaluation gives a higher return on investment, as costs can be minimized with automated compilation, at the same time as the managers get better insights from the data. With a transparent picture of your supply chain to take data-driven actions upon, you will have a robust foundation leading your organization's sustainability stewardship to new levels. Want to know how Worldfavor’s digital platform can help you get a systematic and stress-free sustainability reporting process? Get in touch or request a demo.